Pretty big deal. Experientially, not a good match. Does my search engine need to know which room I'm in at home? But google has always been interested in energy. 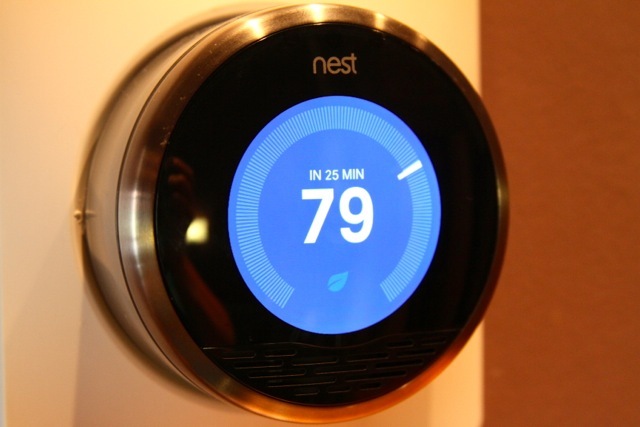 Google announced on Monday that it has entered into an agreement to buy Nest Labs, Inc., makers of the Nest learning thermostat and Nest Protect, a connected smoke detector. The deal will cost Google $3.2 billion and should close in the next few months. Nest has always been on Google's radar. Google Ventures, the company's startup investment arm, was one of the Nest's early investors. Google was previously rumored to be building a Nest thermostat competitor, and there were even leaked screenshots of a smart thermostat app built by Google called "EnergySense," which would let you control the temperature from a smartphone or Web client. Now that Google is buying its main theoretical competition in this area, it's unclear what will happen to Google's internal projects. The one thing we do know is that the Nest brand will be sticking around, and the CEO of Nest, Tony Fadell, will continue to run the company as a separate division in Google.